Shoulder bags are the ultimate all-rounder. Every woman has at least one of these in her handbag collection. 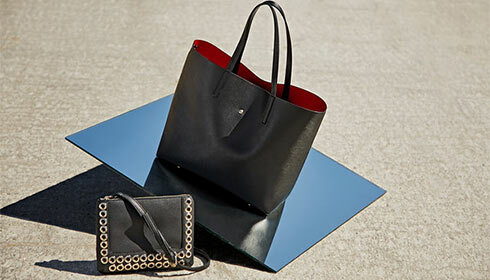 This season we’re bringing you some edgier versions of the shoulder bag as well. A classical ladies’ shoulder bag is an absolute must have. But how about adding a touch of eccentricity to your everyday look? Unusual alternatives like a shoulder bag in a bright colour or an ethnic-style shoulder bag are the perfect way to achieve this. At JustFab we have a FABulous selection of chic accessories to suit your style. Just have a look at our online shop! You’re sure to find one or two new favourites that will quickly become more than just an accessory - it will become your constant companion. A classical shoulder bag should be large enough to fit an A4 folder - the ideal size for school, university or for the office. Shoulder bags are available in a variety of materials. Firm favourites include shoulder bags made from leather or a high quality, vegan-friendly imitation leather, or fabric. The shape of these bags ranges from square, retro style bags reminiscent of Grace Kelly’s style to bucket bags with ample storage space. And for those who always need a little more room in their handbag, there is always the oversized shoulder bag. A lot of women are guilty of carrying around large handbags that contain everything but the kitchen sink - after all, we want to be ready for anything! But there is no reason to be weighed down like this on weekends or for an evening out. 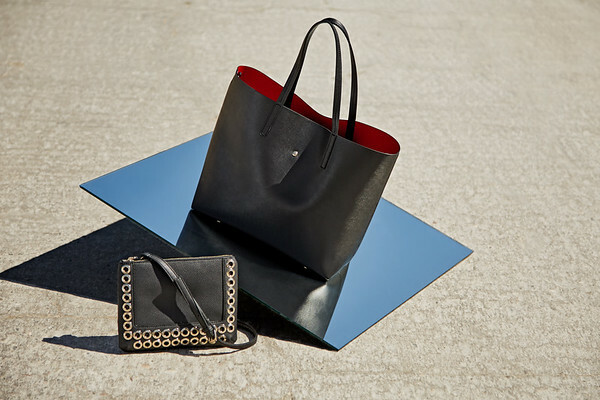 The fix: a compact shoulder bag perfect for achieving that laid back, off duty look. The perfect example, our colourful ethnic style shoulder bags that look just as FABulous for a night out as they do with your casual weekend outfit. Our edgy black shoulder bag with tassel details are also an excellent choice this season – tassels are one of the hottest trends for autumn/winter 2017/2018 season. 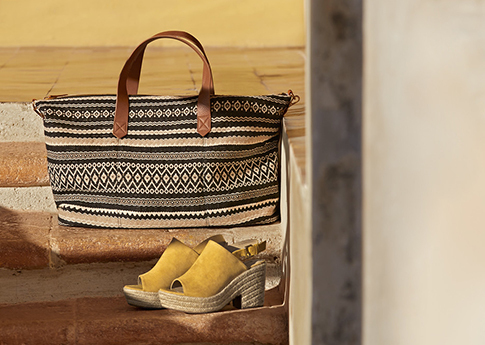 Or how about a playful, vintage style shoulder bag for a romantic boho-chic look? What should I be paying attention to when shopping online for bags? If you are buying your shoulder bag online, it is always a good idea to measure out the dimensions of the bag, so you can get a proper idea of its actual size. This is especially important if you want to carry a particular document size in your handbag. Another good tip is to have a look at the photos of the models showcasing the bags. This will give you a better idea of the size and proportions. You should also make sure that you read all the information available on how many compartments the bag in question has. This way you can decide whether the chic shoulder bag meets all of your needs. Browse our online shop for the perfect shoulder bag. 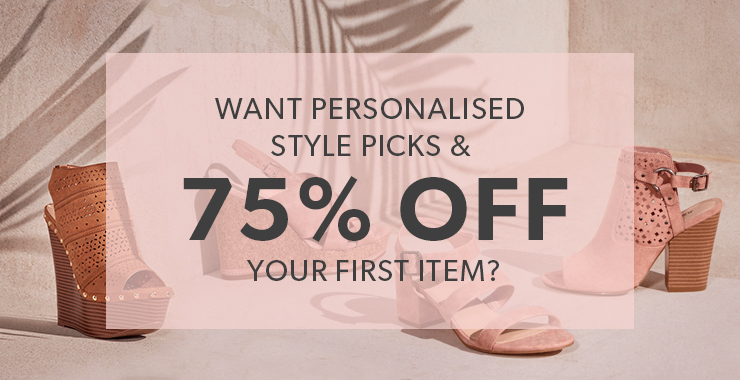 You can buy your favourite right here, at an affordable price – and as an added bonus, all our new VIP members will receive a 75% discount on their first shoulder bag. Have fun with your new bags!